When A. inherits a large estate after the sudden and mysterious suicide of his cousin, he is thrust into the middle of a mystery with deadly consequences. Ghosts, cultists, and dreams of unspeakable acts are only the beginning for A. as he tries to uncover the secrets of Acton House. 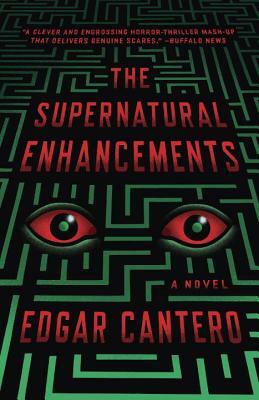 A mystery in the tradition of Lovecraft, King, Henry James, and Edith Wharton (who lends this book its title), this book will leave you wanting more because once Cantero has you hooked you won't want to put it down. Edgar Cantero is a writer and cartoonist from Barcelona working in Catalan, Spanish and English. He was born in 1981.